A great way to turn an ordinary photo into an extraordinary one is with a creative backdrop. Backdrops will add color, depth, and texture to your photo, while also making your model the focus of the portrait. Here are 5 fantastic DIY photo backdrops you can use for holiday photo shoots, photo graduation announcements, family portraits, or even as templates for your own DIY photo booths (which make great additions to parties and events!). This backdrop is super easy to put together and will work great for graduation or back to school photos. 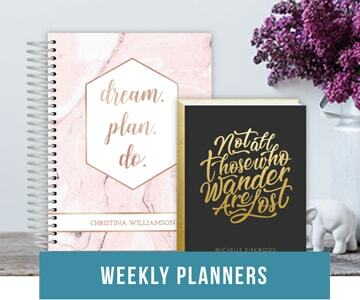 You can either decorate a classroom chalkboard or one you have at home — or pickup a can of chalkboard paint and apply a few coats to a large board (or your wall if you’d like to use it again in the future). For a back to school photo, consider adding apple, book, and pencil graphics. For a high school graduation photo, draw a cap, diploma, and map of where the grad will be attending college. After you have the perfect backdrop drawn with chalk, line your model up and snap a photo. 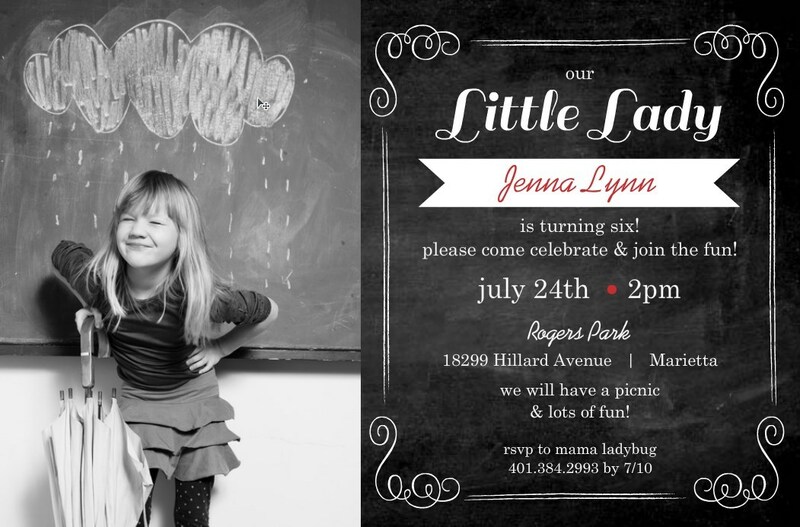 If you’re taking a photo for a special occasion, consider adding your photo to one of our beautiful chalkboard card or invitation templates, so you can share your beautiful photo with all of your friends and family. Chalkboard Ladybug birthday invitation by PurpleTrail. Add a little sparkle and shine to your photo with a simple DIY Christmas light backdrop. 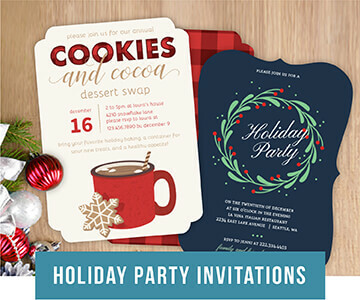 This one works especially well during the holidays! For this DIY photo backdrop you will of course need strings of lights. Choose whatever color you like. After you have your lights, you’ll need to find a place to set them up. Find a space on a wall or set up a large curtain to hang your lights in front of. String the lights across the chosen area — making sure most of the wall is covered with lights. You can use tacks to secure the lights or you can also hang the lights from a rope or back drop stand. For more instructions on how to hang the lights, check out MarvelousMommy.com. There you will also find info on how to create a fun bokeh effect with your back drop. After your lights are secured, place your model in front of your backdrop and start snapping photos. 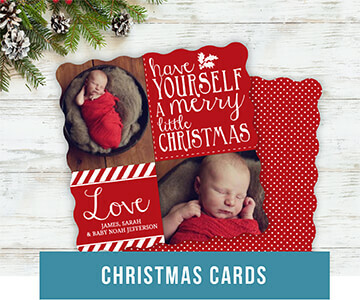 Consider adding your photo to one of our lovely holiday photo cards or invitations, so you can share it with all of the people you love. 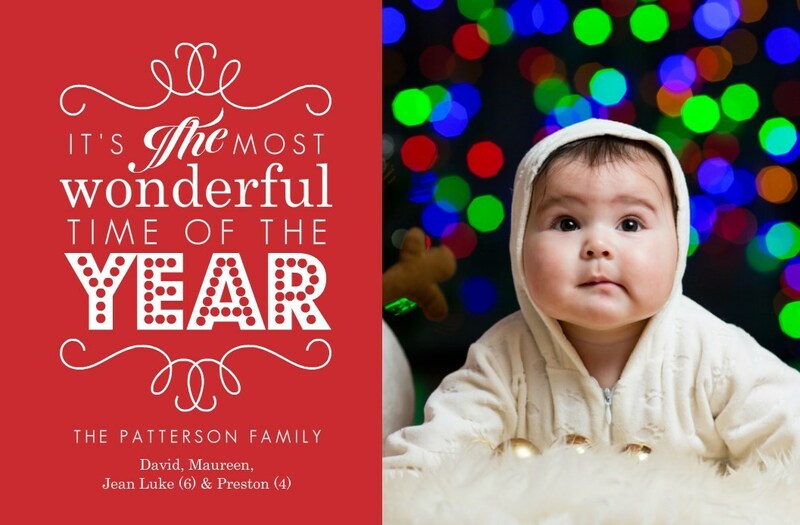 Holiday photo card by PurpleTrail — featuring a Christmas light photo backdrop. Create a beautiful DIY photo backdrop out of your choice of wallpaper, a large piece or cardboard, and colorful banners and accessories. This is a great backdrop for a moving announcement! Break down a very large box (such as a water heater box or refrigerator box). If you can’t get your hands on any, you can tape together several small pieces of cardboard. Just make sure your sheet of cardboard is tall and wide enough for your model (if you’re shooting photos of a child, then you can make a smaller backdrop). After you have a large and flat piece of cardboard — you can start securing the folded areas with tape and thick straws. When you’re happy with the strength of your cardboard, you can add the wallpaper. Choose any kind you like. You can buy a small sheet, just for this project, for pretty cheap. Once your wallpaper is secure, add finishing touches to your backdrop. Accessories such as banners and streamers will add a pop of color to your backdrop and give it a polished look. Blue and Brown House moving announcement by PurpleTrail — featuring a photo with a wallpaper photo backdrop. Add a pop of color to your photos with a DIY balloon backdrop. There are many ways to include balloons in your backdrop. You can tether a large bundle together, attach an anchor, and let the bunch brighten up your shots. Or, you can fill up an entire room, or wall, with a colorful array of balloons or simply have your models hold the balloons. Your choice — whichever you choose, the backdrop will be sure to add a sense of playfulness to you photo. Modern save the date by PurpleTrail — featuring a balloon photo backdrop. Consider taking your photos outside — there are many natural landscapes to pose in front of. Try capturing a shot in front of the sunset or a beautiful forest. You can add some DIY flavor too if you want. If it’s fall, you can rake up a big pile of leaves and have your subject lye in the colorful assortment, while you take a photo of them from above. If it’s snowing, build a snowman or write a message in the snow — then have your model stand in front while you take a few photos. 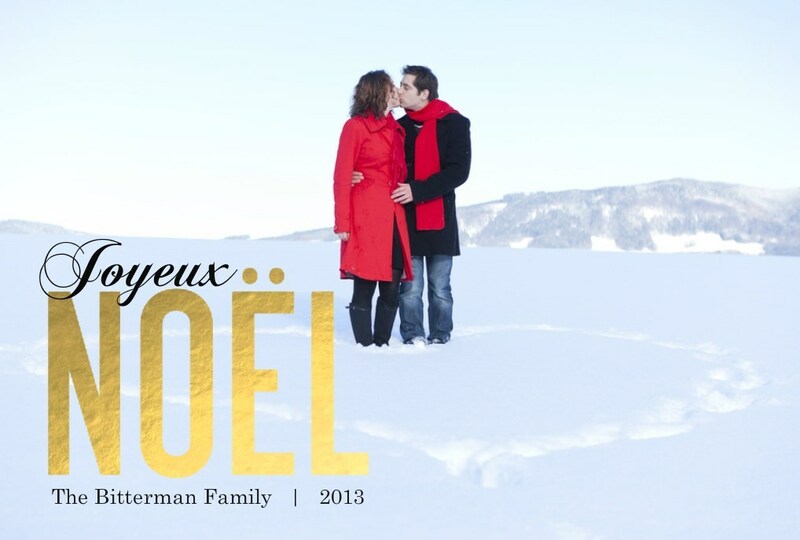 Christmas photo card by PurpleTrail — featuring a couple standing within a giant heart imprinted in the snow. Good Luck With Your DIY Photo Backdrops! Hopefully these 5 DIY photo backdrop ideas give you the inspiration you need to create outstanding photos! Have fun putting the backdrops together and best of luck with your photos. 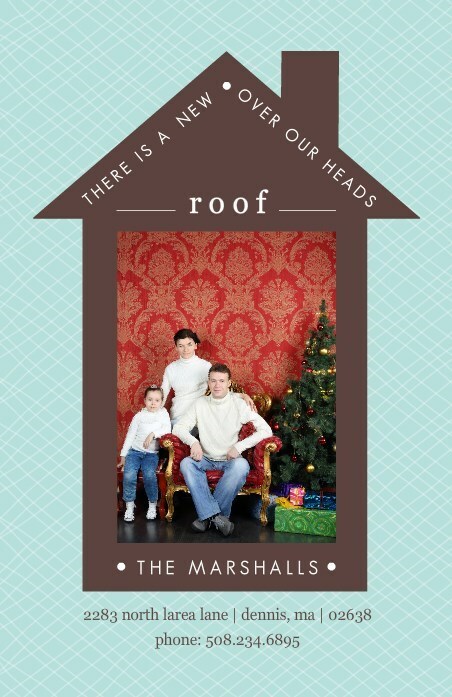 If you’re taking photos for holiday cards, check out this great article: Best Christmas Photo Ideas.